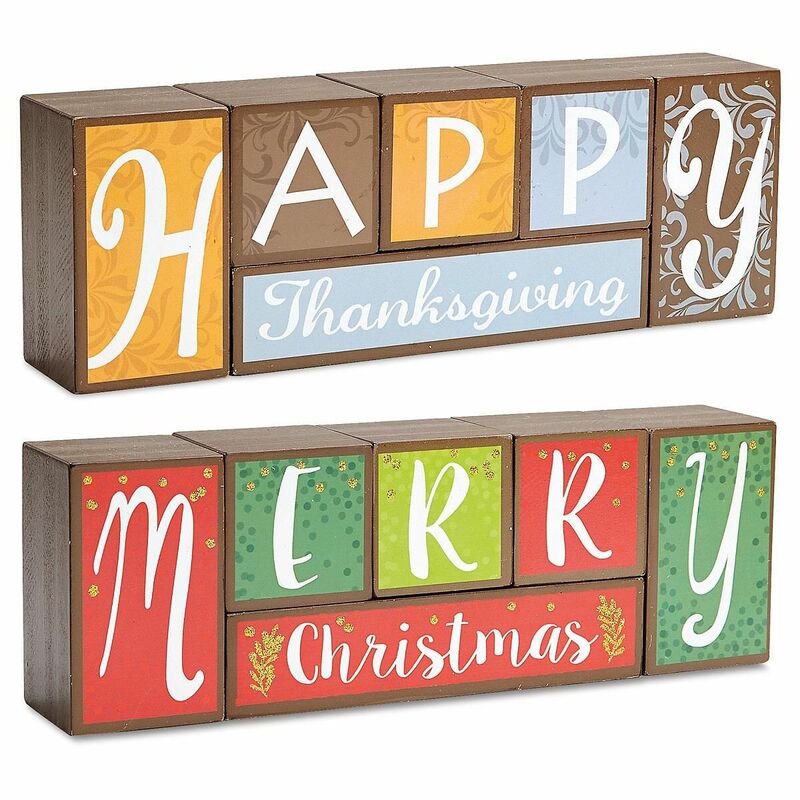 Blocks in 3 sizes stack together to form Thanksgiving and Christmas greetings. Gold glitter decorates the Christmas side. 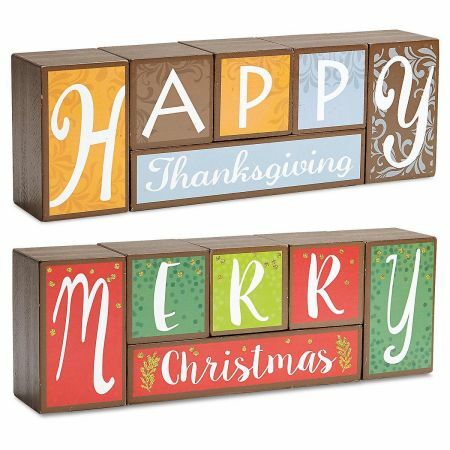 Assembled message is 2 1/4" x 3 3/4"H x 11 1/4"W.